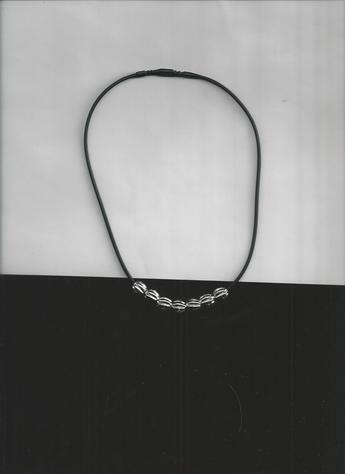 silver-plated metallic round beads on a 12-inch Black silkie necklace. A 2-in-1 piece CAN BE WORN AS A NECKLACE OR BRACELET! A nice addition to your fashion jewelry collection!